So normally at this time of the week, I usually publish a blog post droning on about how far gone the pregnancy has gone and how we are playing a waiting game ect ect and that my child is the size of some exotic fruit only found in the southern west region of Zimbabwe. Well my dear reader (As I assume I may only have one…and that’s you!) The waiting game is over!! As I tried to gain my nightly dose of the ugly medicine of some well earned beauty sleep, my wife woke me to tell me she may have wee’d herself. This turned out to be a LIE!!! It’s was a lie because, what had actually happened that for reasons only known to Mother Nature, it was 04:30 in the morning when Christine’s water broke. What followed was a day filled with a relaxed car journey, more swaying than a pirate ship, a white middle aged midwife and her black cousin (I didn’t ask), but it ended with the delivery of our beautiful son. 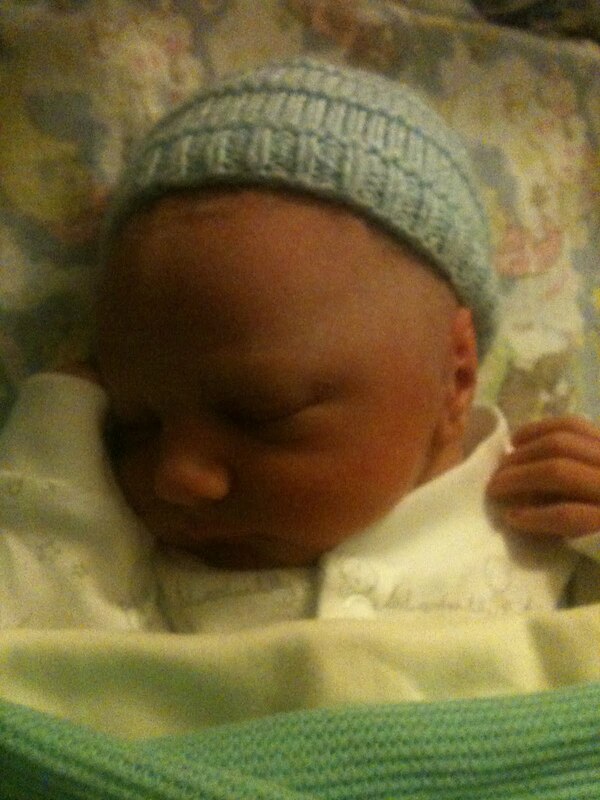 Weighing in at a steady 5lb 14oz at exactly 35 weeks early he arrived at 20:27 on the 17/7/11. Ladies and gentlemen, boys and girls, children of all ages, please welcome into this crazy work of ours; Benjamin George Ackroyd. GOOD News: I will no longer bore you with my weekly updates on the progress of pregnancy. BAD News: I will no doubt bore you with stories of how my little boy has just farted in a G Minor. GOOD News: That won’t be right now, because I’m beat. Last night I truly went to bed a father_2_be and now I am defiantly a _firsttimedaddy. Thanks for all your support up to this point. Congratulations to your new addition to your family! How perfect and beautiful he is. Absolutely precious! Congratulations to you both. Luckily, as Dean says, Benjamin seems to have taken his mums good looks ;o) – Look forward to a different slant on the blogging now! Oh my god! Congratulations! You well and truely pipped me to the post! He’s a little stunner! Love the name too! So thrilled for you both!